Outcast Regina Shen is forced by the World Federation to live on the seaward side of barrier walls built to hold back rising seas from abrupt climate change. A hurricane threatens to destroy what’s left of her world, tearing Regina from her family. Global fertility has collapsed. Chief Inspector Joanne Demarco of the notorious Department of Antiquities believes Regina holds the key to avoid extinction. Regina fights to stay alive and avoid capture while hunting for her family. 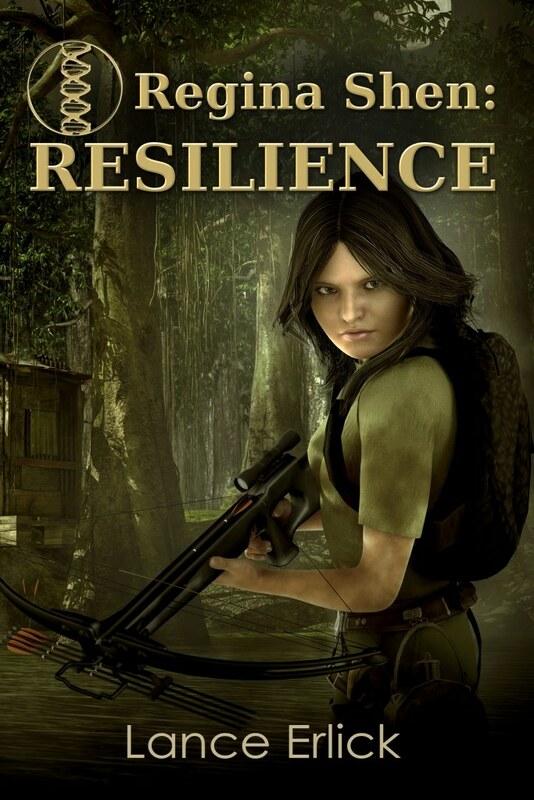 Review: Amazing world-building meets an intelligent, clever, resourceful heroine in “Regina Shen: Resilience”. The World Federation forces Regina to live on the seaward side of the wall built to hold back the rising seas. Books are forbidden, but she does manage to find a few that teach her more about the world and everything wrong with it. The inspector of the Department of Antiquities believes Regina holds the key that’ll help the world avoid extinction. Meanwhile, Regina struggles to stay alive and find her family back. An action-packed read focusing on climate change, bravery, and with great writing. This entry was posted in Regina Shen Series, Science Fiction, Stories, Thrillers, Young Adult and tagged abrupt climate change, dystopian, review, sci fi, science fiction, thriller, young adult by flwq1578. Bookmark the permalink.